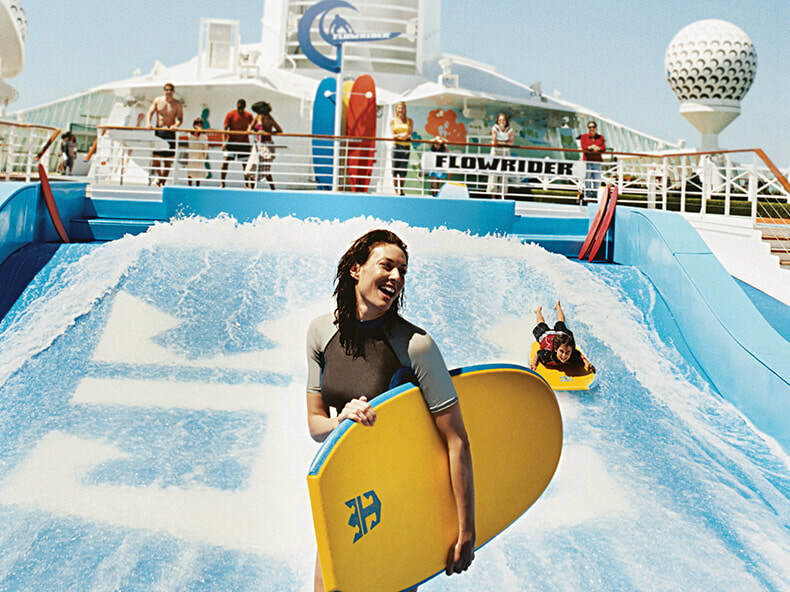 Quantum of the Seas, sports awe-inspiring features. 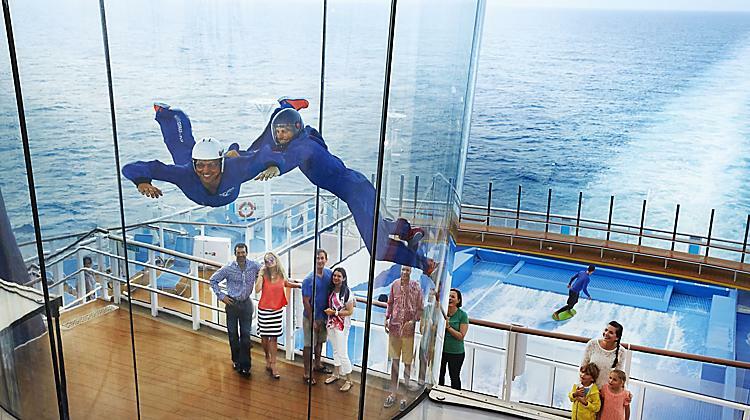 Imagine a skydiving simulator — at sea. Or challenging the kids to a showdown via bumper cars. You can even check out incredible views in the North Star capsule, which suspends guests over the sea. If you feel so inclined, you can even attend circus school! Tired of readings all detail? Refer us for immediate answer! 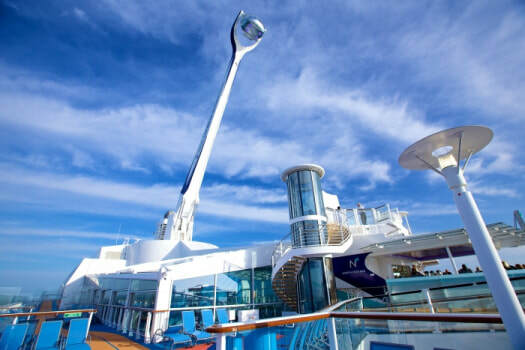 Enter into an intimate, jewel-shaped capsule and gently ascend 300 feet above sea level, where you can take breathtaking views of the ocean, the ship and ports of call. Available sunrise to sunset. 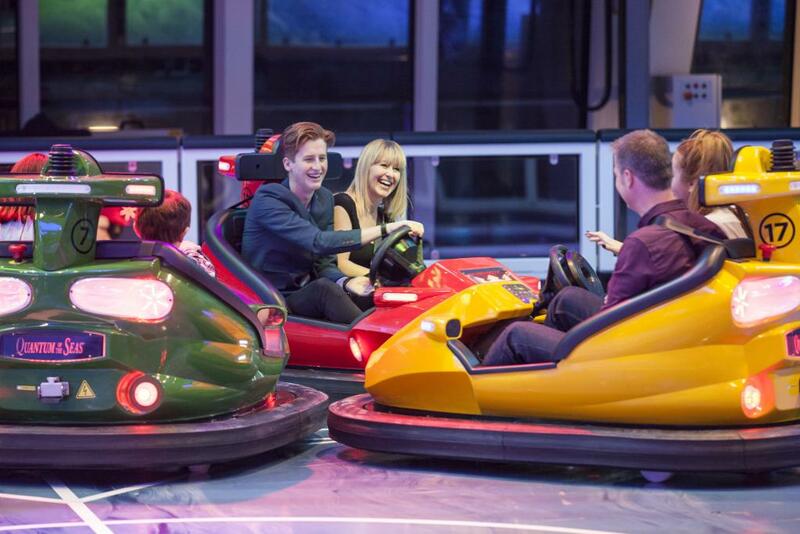 Cutting-edge indoor sports zone with full size basketball court, roller skating, a floating DJ booth, a circus school and first ever at sea - bumper cars. Above the main floor on the mezzanine level four expansive and distinctive Activity Rooms with expansive views of the sea are available with diverse experiences including table tennis and more. Rip Cord allows guests of all ages to take flight and enjoy the unparalleled exhilaration of skydiving, via a vertical wind tunnel that produces a wall-to-wall air flow. 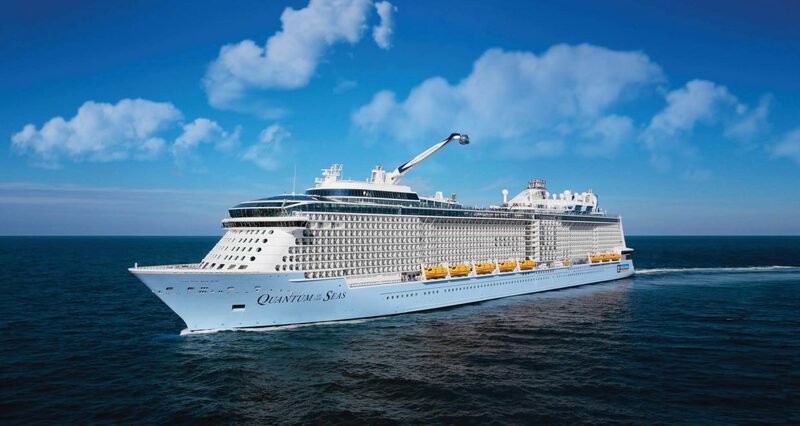 Royal Caribbean International has updated their smoking policy to stand in line with the Royal Caribbean Vitality wellness program. This introduces smoke free zones in all staterooms and suites, most public areas except for designated bars and lounges.